With Chrome Shelves in 18 x 60 size and wraparound bumper. 63″ Plated Posts and Aluminum Dolly. 69″ Overall height. 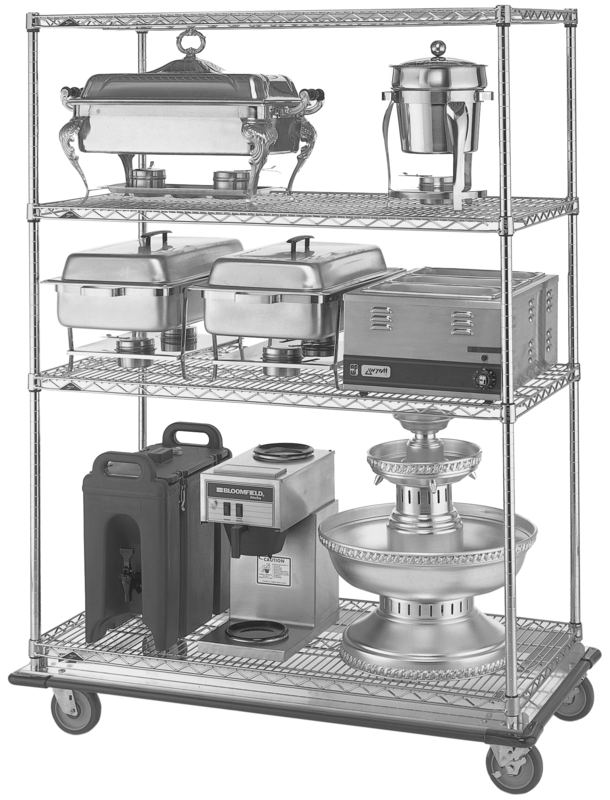 Dollies add 3 1/8″ to the length of the unit and 3 3/8″ to the width of the unit.